Auckland was a hilly city. The view to the west from one of the main streets. Recently, I visited Auckland in New Zealand. However, I stayed there only a week to attend a conference and did not have much time to fully enjoy the land and what it has to offer. 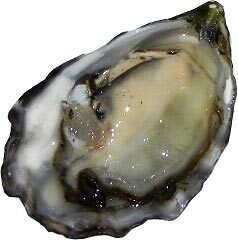 However, I could taste delicious oysters with splendid New Zealand Sauvignon Blanc a couple of times. That alone was worth visiting Auckland. I had visited New Zealand only once before this recent visit to Auckland. It was about 10 years ago and I stayed only one night in Wellington. Therefore, it is not easy to remember an exact impression of New Zealand, though I still wear the T-shirt with kiwi bird design I bought at the time. I bought this time two stuffed kiwi birds upon request of my daughter. I first chose a realistic model at the museum shop of Auckland Museum. 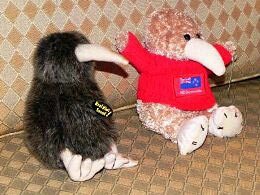 Then, when I found humorous kiwi dolls wearing pullover on which words are embroidered such as "NZ downunder" in a souvenir shop of the hotel, I could not stop my temptation to add a cute animal to my souvenir collection. Kiwi specimen (left) and two fake kiwis (right) - fake kiwis are designed in New Zealand and of course MADE IN CHINA. 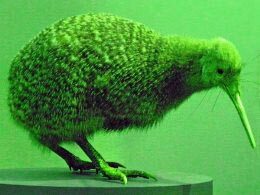 Unfortunately, I could not see a live kiwi bird during my stay in Auckland, but only specimens in the Museum. 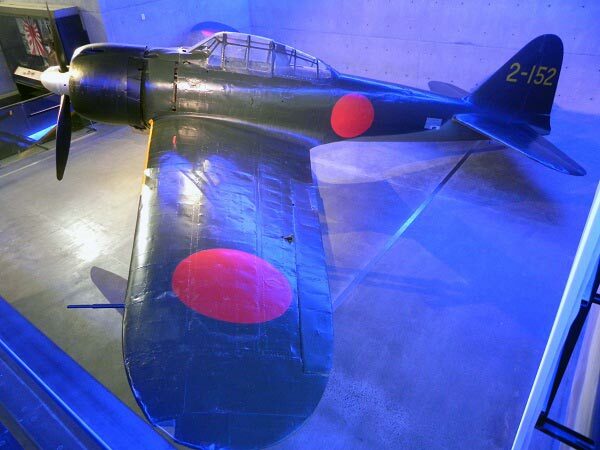 What impressed me in the Museum, and surely impresses all Japanese visitors, was the exhibition of Zero Fighter Z6M3 model 22. This fighter was seized on Bougainville Island by New Zealand at the end of WWII and is one of the best preserved Zero Fighters. I am not much enthusiastic about the exhibition of weapons and military history. However, I am slightly envious about New Zealand, because it can display its own military history without any inhibition, while there is a sort of taboo in Japan about its military past and it is almost impossible to see systematic exhibition of the Japanese military past except for in such peculiar facility as Yushukan (The internet site is only in Japanese). 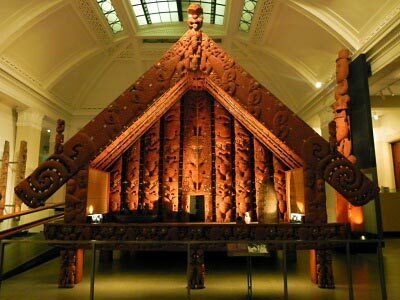 Maybe the most interesting part of the Auckland Museum is its exhibits related to the Maori. I was especially impressed by the explanation of a map in the Museum that the origin of the Maori and all other Pacific islanders exists in Taiwan. They spread over the Pacific islands in the course of five thousand years. (*) A part of their tradition like tattooing reminds me the similar customs among ancient Japanese people in the eyes of the Chinese people. Their cultural heritages such as wooden carvings and a huge canoe are impressive and their encounter with Westerners is thought provoking. Later I found an academic thesis - "Taiwan as a Poynesian cultural homeland" (in Japanese) by Sakai Ataru (the University of Kanazawa) - which explains that this theory is not fully established. The coastal area in the South East Asia rather fits as the original habitat of the Pacific islanders. The Maori carvings remind me of Celtic designs or Jomon potteries. In a show of a social program of the conference, the friendship between tattooed Maori people and white immigrants wearing European style costumes was underlined. However, the exhibits in the Museum eloquently explain how the Maori failed to defend them with their Neolithic level civilization and armament from the powerful invaders. The final battle between the Maori and the European colonists took place exactly when Japan faced the Western civilization after the Industrial Revolution and seriously felt the threat to its independence from the Western colonial powers. Fortunately, our society already reached the level of early capitalism and our ancestors could digest the European social system and technology within a few decades and could defend our sovereignty. The New Zealand society looks to be very generous to the difference of ethnicity and it is (or was?) known as one of the most equal societies in the world. The Maori could recover from the preliminary damage following their encounter with the Europeans and now represent some 15% of the New Zealand population. Maori people have a sort of privileges as native people in New Zealand and other minority groups might even think that Maori people are too much privileged. However, while I was in Auckland all high-ranking people who represented New Zealand were seemingly European decedents and Maori people were working as simple manual laborers. Some Maoris may be able to earn good money by dancing and singing in Maori shows. I find it pity that ethnic dancing and other cultural heritage have lost their original meaning and are redesigned and presented as tourist attractions. I rather wanted to experience how Maori people live, think and feel in the contemporary New Zealand society. But, one week was not enough to know enough about a nation. 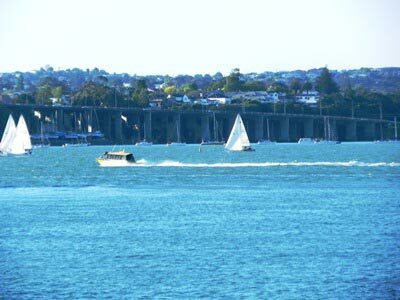 Maritime Museum, another attraction in Auckland, is located on a beautiful coast of Auckland. The sea in Auckland is very quiet and reminded me of the Baltic Sea in Copenhagen. Anyhow, the atmosphere of Auckland was very relaxing and I felt a New Zealanders' sense of humor while strolling along the quay. 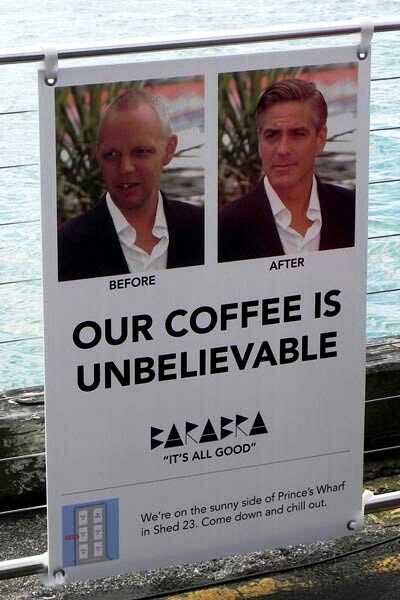 It is indeed "unbelievable" and I did not drink the coffee, though my wife strongly recommended me through e-mail. I wanted to buy cheese at the airport, as New Zealand is the largest exporter of dairy products and I took it for granted that various kinds of cheese are in the duty-free shops as in many European airports. However, I could not find any and asked an older shopkeeper where to buy cheese. To my surprise he responded "Some shops used to sell cheese, but nowadays none ... maybe one." Then I went to the last possibility following his advice. It was a souvenir shop specialized for Japanese tourists, I believe, and there was a small space where only a few packages of cheese were displayed in dirty plastic bags. Then, I was surprised again and this time by their extremely high prices. I want that somebody explains me about this "unbelievable" situation. Auckland saw me off with rain.